By the early Twenties, enormous, ornate theaters, known as movie palaces had been built in San Francisco and Los Angeles. For several years, C. E. Toberman had attempted to induce Sid Grauman and his father to locate in Hollywood. The two Graumans had come to Los Angeles and built the lavish Million Dollar Theater at Third and Broadway. 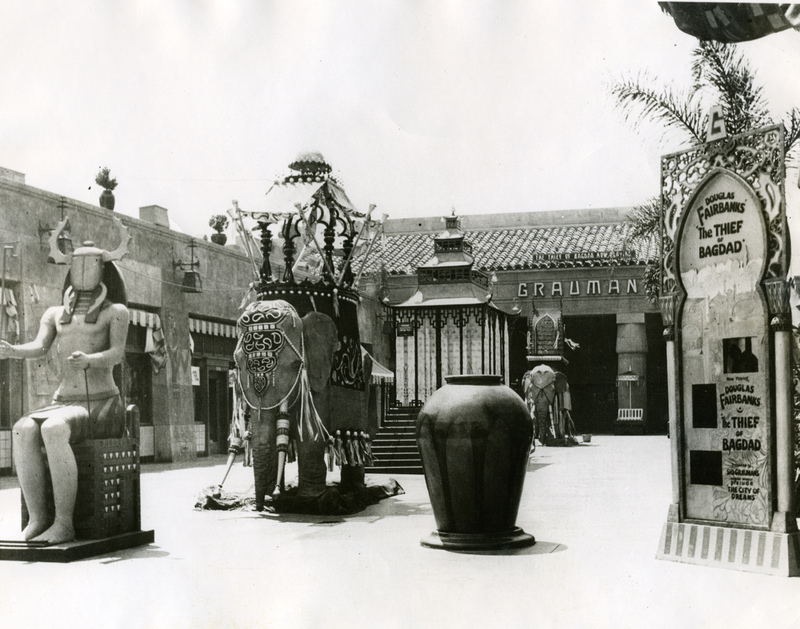 Over the course of the past eighty five years, there have been thousands of pictures taken of Grauman’s Egyptian Theater. One of the largest collections is on the hollywoodphotographs.com web site.